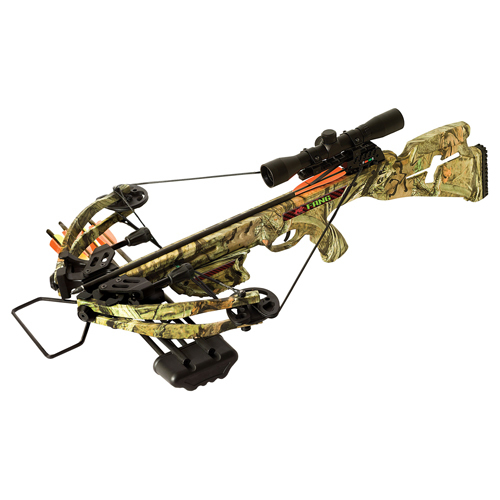 PSE knows what our customers want, and when it comes to crossbows you want a rig that has high-end crossbow features but also offers you extreme value. PSE has completely re-engineered its crossbow line for 2015 in order to bring you the new PSE Fang™! The Fang™ offers incredible value with many desirable features often found above $500. With a speed of 345 FPS, a mass weight of only 6.8 lbs., an anti-dry fire trigger, and a removable 4x32 scope, the Fang™ has all the features you need: versatile, lightweight and affordable... all in one package!